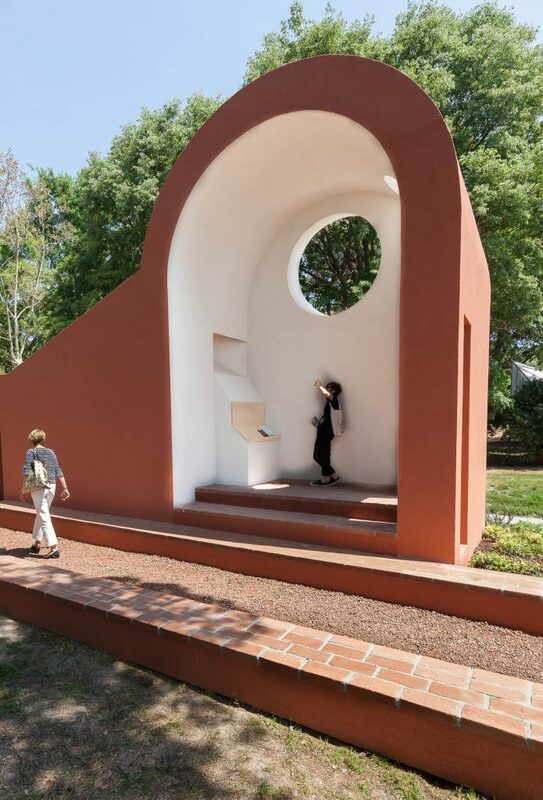 Scattered across the lagoon-facing parkland behind the great Santa Maria Maggiore church, you will find eleven temporary pavilions commissioned by the Vatican. 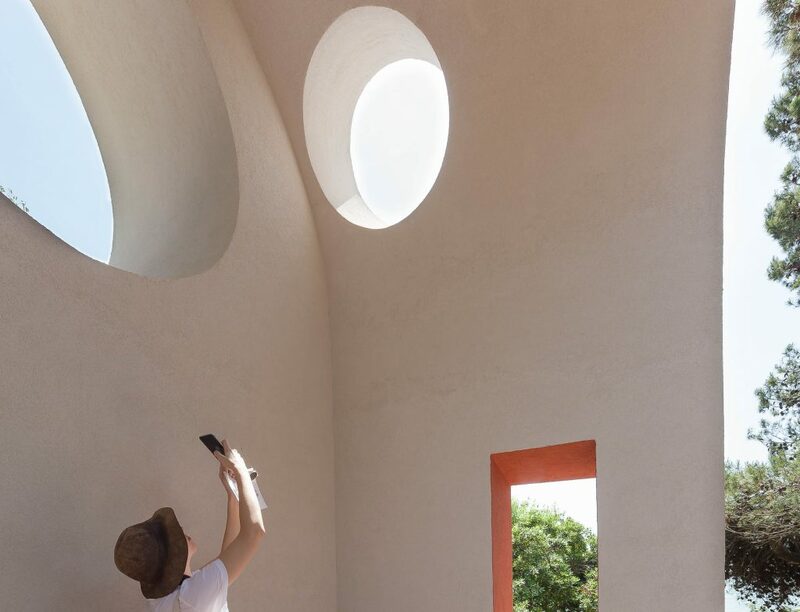 The pavilions have been designed by renown international architects, including Norman Foster, Smiljan Radic, Edouardo Souto de Mora and Terunobu Fujimori. It is a rare collection of contemporary sacred architecture and the first time Vatican takes part in the Venice Biennale. The Skogskapellet by Gunnar Asplund was the guiding reference, that architectural historian Francesco Dal Co gave to the eleven invited architects. 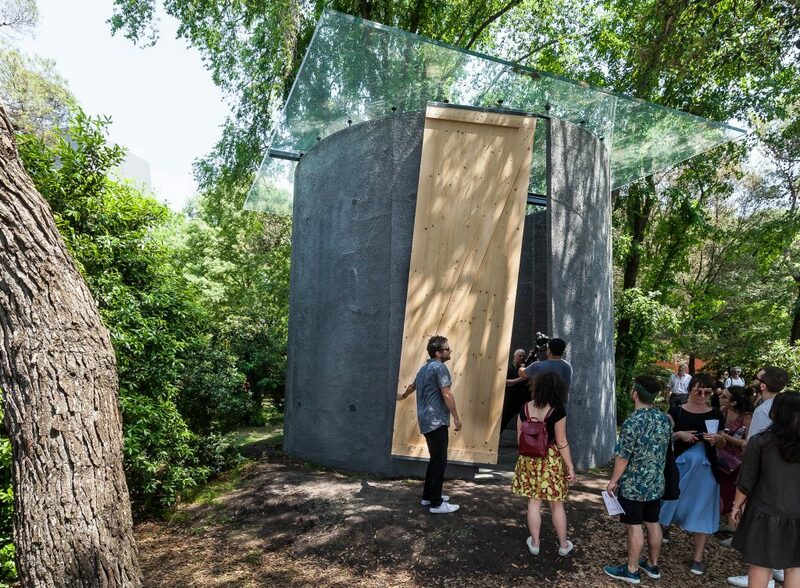 They have all imagined a small, spiritual space within a forest-like environment, the structure connecting to the site. Away from the tourist crowds of Venice, the whole area indeed is a beautiful place for quiet contemplation, as well as an opportunity to witness some exquisite designs. The concept of the pavilions follows the Serpentine Summer Pavilions format. Apart from the size of the plot (seven by ten meters) given to each pavilion, the architects responded to the brief with a range of interpretations of religious iconography. Norman Foster used wooden struts engineered for an airy tent like space where three crosses form the central supporting system for the pavilion. Shrubs planted on the sides of the building will grow over the summer months to slowly transform the atmosphere of the space. 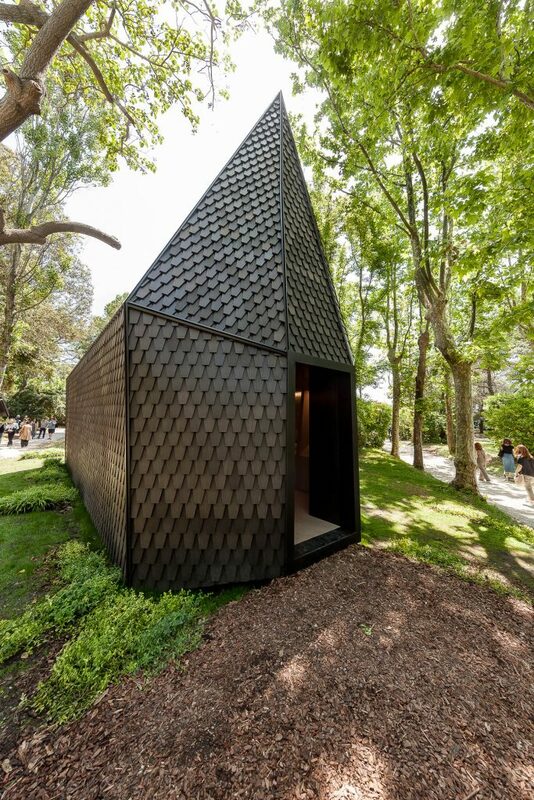 Spanish architects Flores Prats and Chilean architect Smiljan Radic (who did the Serpentine Pavilion in 2014) provided spaces with more abstract religious symbolism. 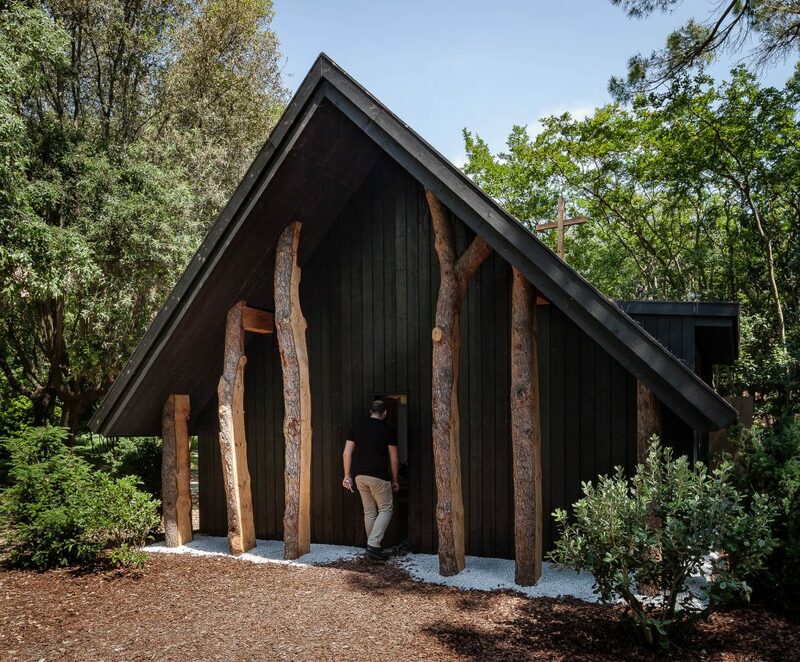 Perhaps the most direct response to Asplund’s forest chapel is Terunobu Fujimori’s pavilion, which from the outside looks like a summer cabin of unusual, childlike proportions. Constructed directly on the ground, its sturdy structural beams form a cross inside in the same way as in Foster’s more open space. 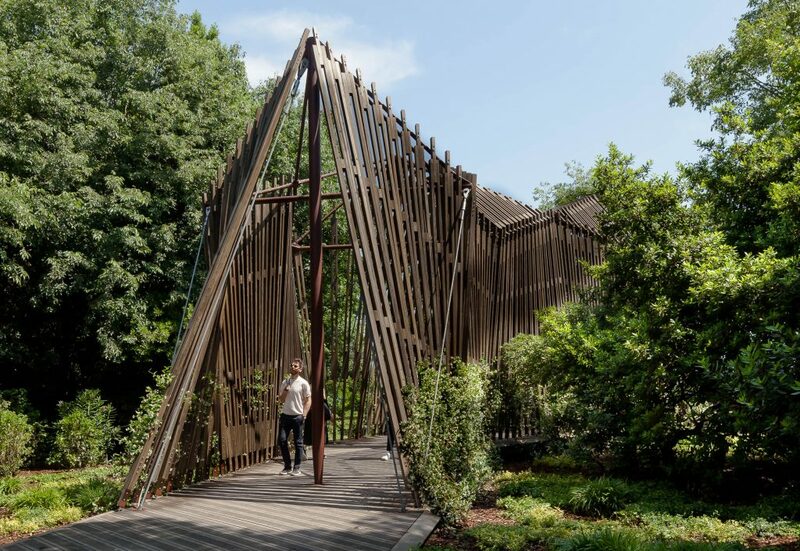 These pavilions provide a great opportunity for observing details, materials and structures, as well as the larger historical and artistic dialogues in which they so clearly take part. The choice of architects presented in the Vatican’s exhibition area demonstrate a will to take part in contemporary cultural and artistic debates. The Vatican’s introductory participation is one of the highlights of this year’s Biennale. It also makes you think how sacred spaces must be hugely inspiring commissions for architects, perhaps anticipating also a new kind of spirituality needed for the planet.